In this post, I will share my experience with one of the easy-to-use analytics library Flurry for your iPhone app. They claim in the documentation that the integration can be done in 5 min and I found it to be true to the certain extent. Flurry Analytics provides an incredible amount of actionable intelligence into how and where people are using your app. You can quickly identify your most engaged and valuable users by grouping them on key characteristics such as demographics, location, language preference, and usage of select features in your app. The Flurry iOS Analytics Agent allows you to track the usage and behavior of your iOS application on users’ phones for viewing in the Flurry Analytics system. Here is how to set up flurry. My dashboard already has an application added into it. You can add a new application for enabling analytics by going into the application tab of your dashboard and click on “Add new application” link in the top right corner. 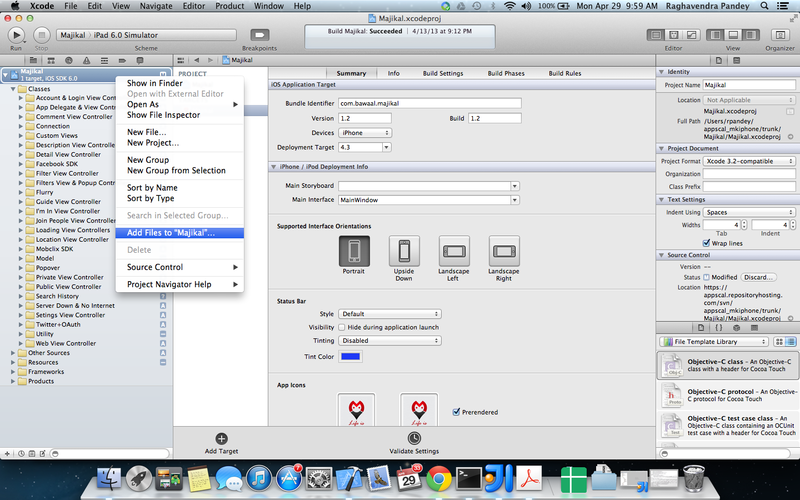 Now you will be presented with the “select application type” screen like the following. Select iOS type from this. As you can see you can use flurry for adding analytics for so many platforms. Now hit “Create App” button and you are done. If you have followed all the steps, you will see a page like following. This shows the unique application key that will be used in your iPhone application code to enable sending data. This unique key is used by flurry to collate data for one application. Analytics-README.pdf : This file containing instructions on how to use Flurry Analytics. Flurry/Flurry.h : The required header file header file containing methods for Flurry Analytics. Flurry/libFlurry.a : The required library containing Flurry’s collection and reporting code. The best part is, this readme file is just 5 pages long so you can easily read it. There are additional folders for use with Flurry Ads. These optional libraries provide alternate streams of revenue for your apps. If you would like to use Flurry Ads please refer to FlurryAds-iOS-README.pdf. Flurry Agent does not require CoreLocation framework and will not collect GPS location by default. Developers who use their own CLLocationManager can set GPS location information in the Flurry Agent. 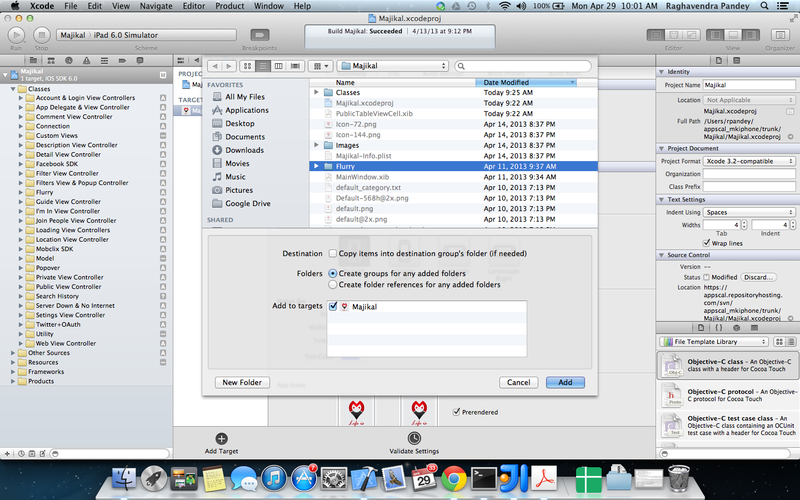 Copy Flurry directory into project’s file folder in finder. This entry was posted in Analytics, iPhone, Technology and tagged actionable intelligence, analytics, flurry, iPad, iPhone, objective-c by rags. Bookmark the permalink.